Every person deserves a place to belong. 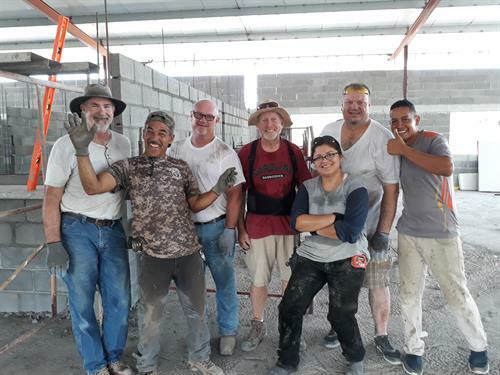 We connect volunteers and donors with trusted community leaders around the world, and together we build PLACES where people find HOPE! We see construction as a means to help people. 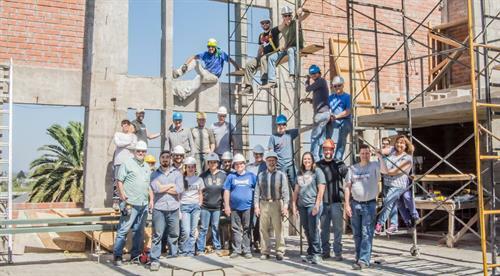 The staff of Builders International stands ready to serve you in building hope in communities around the world. We understand that only God, working through people, can bring transformation to a community, one person at a time. A strategically placed facility in a needy community can build hope in the face of hopelessness. There are a lot of really great people who want to make a difference in the world, but legitimate programs can be difficult to find. Children need schools to get an education to make a difference in their families. Communities need a place to find refuge and help. People need training in order to find jobs to sustain their families. At Builders, we understand there are difference makers, like you, seeking a worthy cause. We find inspirational, reliable projects that are ready to move forward, but need help. Then we connect the projects with difference makers, the people who can make it happen. Builders comes alongside these projects to form a strategy for success, while connecting them with amazing donors and volunteers who have the desire to make a lasting impact. This gives our partners the satisfaction of building HOPE in communities that need it most! From 65 at the CC Exit, go east to the first stoplight (in front of Lamberts) and turn right. Then turn left on the second street, Lloyd St. We are the second building on the right.